Rebuilding Your Life After Bankruptcy is Easier Than You Think! Opening New Lines of Credit Without Accruing Debt. Communicate Clearly, Directly, and Honestly. 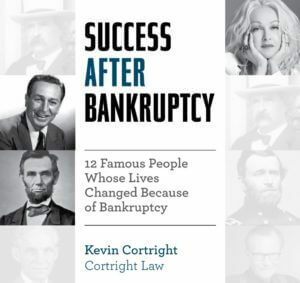 Written by Bankruptcy Attorney Kevin Cortright and provided to potential clients FREE of charge. Download Your FREE Copy Here!